Working from home is a dream of many, and running your own business is a great way to do just that. Chances are that, unless you’re selling a product, you’re doing a lot of freelance work. And when you freelance, businesses treat you as an independent contractor, or a 1099 contractor, which alludes to the 1099-MISC form businesses send to contractors they paid. 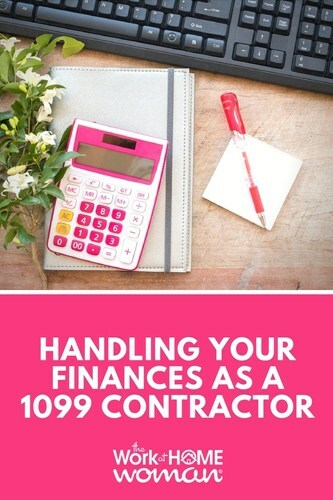 Being a 1099 contractor is a great way to make money while working from home, but you have to understand what your responsibilities are when you do 1099-eligible work. The Department of Labor is cracking down on businesses who misuse independent contractors, so the burden is on you to prove you do qualify as an independent contractor. That means handling your finances in a particular way. There is a slightly complicated test courts apply when judging worker classification, but the short of it is an independent contractor is a business, and the hiring company is a client. It is a business-to-business relationship, rather than an employer-to-employee one. So, to protect yourself and your clients, bill as your company. This means you’ll need a DBA (doing-business-as) name and, for some banks, an EIN (Employer Identification Number). But after you get those in order, you can open a business bank account and accept checks payable to the company. Being able to put a company’s name as the ‘recipient of payment’ on a 1099 is much more reassuring to clients worried about using an independent contractor. Billing is either going to be based on a flat fee or on hours worked. If you use an hour system, a time-clock makes billing smooth and quick. As a 1099 contractor, you set your own hours and fees; your client can’t tell you when and where to work. But if you work from home, figuring out hours worked can be tough. The day sort of blends together; you’ll stop working to answer the phone, or run out to get the mail. Then, when it comes time to bill, you’re left picking apart days of your life to figure out how much you’re fairly owed. A time-clock may seem frivolous, but trust me – having a button you can hit anytime you get up from your desk or get back to work is way easier than guesstimating hours. A couple of online systems to check out are, Paymo which is just $4.99 a month or Harvest which is $12 a month. April 15 is a deadline most Americans know well, and around February or March, any client who paid you more than $600 for work will send you a 1099 reporting how much they paid. But when you’re a 1099 contractor, you cannot wait until March or April to handle your taxes. If you want until you get these to pay self-employment and income tax, you’re going to be in hot water. The IRS requires anyone who expects to owe more than $1,000 in back taxes to make quarterly estimated tax payments. Chances are your state also sets a similar threshold for quarterly payments. But even if you’re under it, you should still estimate and send in quarterly self-employment and income tax payments, so you’re not stuck with a huge tax bill at the beginning of the new year. Using an online bookkeeping system can help determine how much you should pay quarterly and keep your finances in order. Wave is a free platform that allows you to invoice clients, track expenses, and estimate your quarterly payments. Freelancing from home is a great way to run your business without having to pay for office space, but if you’re going to sell your services as a 1099 contractor, you can’t neglect billing, banking, or taxes. 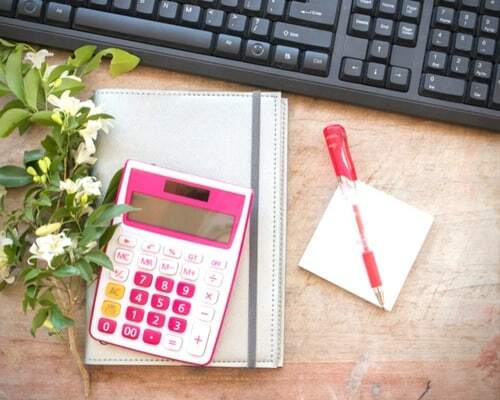 Handling finances is tricky, but if you remember to treat freelance work as jobs done for a client of your business, rather than the type of work you’d do as an employee, you shouldn’t run into any issues with classification or taxes.